Faked Radiation Reports at Two German Nuclear Plants: Bad Apples or Nuclear Safety Culture Problem? According to an article* on German news site The Local, workers at two EnBW** nuclear plants submitted reports for radiation checks that were never performed. At the Philippsburg plant, a single subcontractor had been submitting reports based on checks he never carried out. The consequences were severe—the government has ordered a halt to EnBW’s plans to restart the unit. At the permanently shutdown Biblis plant, a worker filed faked reports throughout 2014-15. Germany intends to shut down all its nuclear plants by 2022. Perhaps a few employees are shutting down a little early. Snark aside, maintaining a strong safety culture in the face of an anticipated shutdown (and subsequent job losses) is a significant challenge for any organization in any industry but it is especially acute in the nuclear space where the actions of a single distracted, unmotivated or alienated individual can lead to significant regulatory, political, public relations and/or physical plant problems. * “Inspectors faked safety checks at two nuclear plants,” The Local (April 15, 2016). ** Energie Baden-Württemberg AG, a German electric utility company. Is Entergy’s Nuclear Safety Culture Hurting the Company or the Industry? A recent NRC press release* announced a Confirmatory Order (CO) issued to Entergy Operations, Inc. following an investigation that determined workers at Waterford 3 failed to perform fire inspections and falsified records. 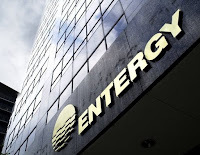 Regulatory action directed at an Entergy plant has a familiar ring and spurs us to look at various problems that have arisen in Entergy’s fleet over the years. The NRC has connected the dots to safety culture (SC) in some cases while other problems suggest underlying cultural issues. These plants were part of the utility mergers that created Entergy. We are not aware of any SC issues at Grand Gulf. In 2014 Entergy received a CO to document commitments made because of the willful actions of an unidentified River Bend security officer in March 2012. In 2012 River Bend received a NOV for operators in the control room accessing the internet in violation of an Entergy procedure. In 2011 River Bend received a CO to document commitments made because an employee apparently experienced retaliatory action after asking questions related to job qualifications. Corrective actions included Entergy reinforcing its commitment to a safety conscious work environment, reviewing Employee Concerns Program enhancements and conducting a plant wide SC survey. In 1999 River Bend received a NOV for deliberately providing an NRC inspector with information that was incomplete and inaccurate. As noted in the introduction to this post, Waterford 3 recently received a CO because of failure to perform fire inspections and falsifying records. These plants were purchased by Entergy and are located outside Entergy’s utility service territory. Entergy purchased FitzPatrick in 2000. Entergy plans on closing the plant Jan. 27, 2017. Entergy purchased Indian Point 3 in 2000 and IP2 in 2001. In 2015 Indian Point received a NOV because it provided information to the NRC related to a licensed operator's medical condition that was not complete and accurate in all material respects. In 2014 Indian Point received a NOV because a chemistry manager falsified test results. The manager subsequently resigned and then Entergy tried to downplay the incident. Our May 12, 2014 post on this event is a reader favorite. During 2006-08 Indian Point received two COs and three NOVs for its failure to install backup power for the plant’s emergency notification system. Entergy purchased Palisades in 2007. In 2015 Entergy received a NOV because it provided information to the NRC related to Palisades’ compliance with ASME Code acceptance criteria that was not complete and accurate in all material respects. In 2014 Entergy received a CO because a Palisades security manager assigned a supervisor to an armed responder role for which he was not currently qualified (see our July 24, 2014 post). Over 2011-12 a virtual SC saga played out at Palisades. It is too complicated to summarize here but see our Jan. 30, 2013 post. In 2012 Palisades received a CO after an operator left the control room without permission and without performing a turnover to another operator. Corrective actions included conducting a SC assessment of the Palisades Operations department. Entergy purchased Pilgrim in 1999. Like ANO, Pilgrim is also in column 4 of the Action Matrix. They are in the midst of a three-phase IP 95003 inspection currently focused on corrective action program weaknesses (always a hot button issue for us); a plant SC assessment will be performed in the third phase. In 2013, Pilgrim received a NOV because it provided information to the NRC related to medical documentation on operators that was not complete and accurate in all material respects. In 2005 Pilgrim received a NOV after an on-duty supervisor was observed sleeping in the control room. Entergy purchased Vermont Yankee in 2002. During 2009, Vermont Yankee employees made “incomplete and misleading” statements to state regulators about tritium leakage from plant piping. Eleven employees, including the VP for operations, were subsequently put on leave or reprimanded. Click the Vermont Yankee label to see our multiple posts on this incident. Vermont Yankee ceased operations on Dec. 29, 2014. These cases involved behavior that was wrong or, at a minimum, lackadaisical. It’s not a stretch to infer that a weak SC may have been a contributing factor even where it was not specifically cited. Only three U.S. nuclear units are in column 4 of the NRC’s Action Matrix—and all three are Entergy plants. Only TVA comes close to Entergy when it comes to being SC-challenged. We can’t predict the future but it doesn’t take a rocket scientist to plot Entergy’s nuclear trajectory. One plant is dead and the demise of another has been scheduled. It will be no surprise if Indian Point goes next; it’s in a densely populated region, occasionally radioactively leaky and a punching bag for New York politicians. Does Entergy’s SC performance inspire public trust and confidence in the company? Does their performance affect people's perception of other plants in the industry? You be the judge. * NRC press release, “NRC Issues Confirmatory Order to Entergy Operations, Inc.” (April 8, 2016). ADAMS ML16099A090. ** COs and NOVs are summarized from Escalated Enforcement Actions Issued to Reactor Licensees on the NRC website. *** J.M. Rollins (NRC) to J. McCann (Entergy), Closure of Investigation 014-2014-046 (Jan. 25, 2016.) ADAMS ML16025A141.